Deutzia plants are blooming shrubs that have long, arching branches that are home to a cascade of blooms. These shrubs are prized for their flexibility in growing conditions and their shade tolerance. 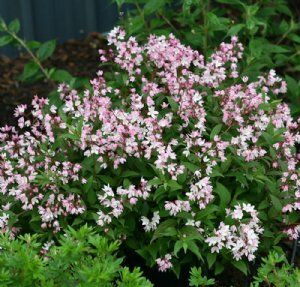 Don't let its dainty pink floral nature fool you, this plant is exceptionally tough and adaptable.